People are charged with some form of illegal gun possession or other weapons charge every day throughout Manhattan, Brooklyn, the Bronx, Queens and Staten Island. If you have been arrested or given a summons and want proven representation to fight for your rights and avoid conviction — or guard against the most severe consequences, contact us now at Goldberg & Allen, LLP. Was Your Arrest Lawful, and What Are Your Options Now? As a defendant with a lot on the line, it may seem that the police overstepped or overreacted when they arrested you with a utility knife, pocket knife, box cutter or even a handgun. In some cases, they do — and our experience as high-level prosecutors gives us extensive real-world insight into how to prove a search and seizure was illegal or your rights were otherwise violated. Many unsuspecting people unknowingly bring illegal items into New York City, only to be arrested for carrying a hunting knife, mace or pepper spray, an air pistol, ammunition, a handgun or some other item. 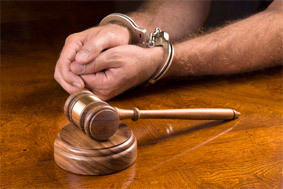 Local, experienced legal counsel is essential if you were arrested in our metro area. A conviction on a weapons charge can have serious long-term consequences, and it is essential to understand what a guilty plea might mean for you before accepting the outcome without a fight. Whether we are the right attorneys for you may depend on how important it is to keep your record clean or work toward consequences you can live with. To discuss the circumstances of your case and your important goals, contact us today and request a consultation.